If you have any information on the identity of a suspect please contact Crime Stoppers of North Delta by Facebook-CONTACT US/Submit a Tip tab, (318) 388-CASH (2274), www.crimestoppersnorthdelta.com or download the P3 Tips app on your smart phone. If your tip leads to a felony arrest and /or indictment, you will be eligible to receive a cash reward of up to $2,000. Your information remains confidential; you never leave your name and you never appear in court. The Bastrop Police Department is seeking the public's help in identifying the subject in the attached photographs. The subject is a person of interest in the Hit and Run fatality that occurred on the Collinston Road. The vehicle is a 2004-2007 model Dodge Magnum Station Wagon. If you are this person or know who this person is please contact the Bastrop Police Department at (318) 281-1322 or North Delta Crimestoppers at (318) 388-CASH (2274). On April 2, 2019 at around 2:00 AM to 2:20 AM an individual was found in the ditch in the 400 block of the Collinston Road. The individual was identified as Mark Ramey b/m age 40 of Bastrop, LA and was pronounced dead at Morehouse General ER. Evidence left at the scene suggest Mark died from being struck by a vehicle in a hit and run. The Bastrop Police Department is asking for the public's help in this matter. If you have any information or knowledge please contact the Bastrop Police Department at 318 281-1322 or North Delta CrimeStoppers at 318 388-CASH (3378). 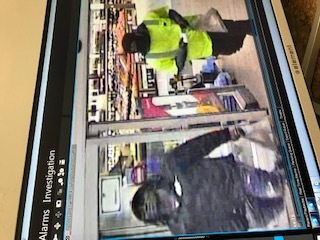 The Bastrop Police Department is seeking the public's help in identifying two subjects wanted in connection with a theft that occurred at Central Finance on McCreight Street. If you recognize these subjects or have any information concerning the theft please contact the Bastrop Police Department at (318) 281-1322 or North Delta Crime Stoppers at (318) 388-CASH (2274). 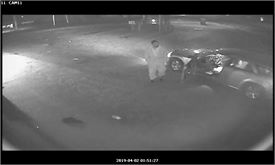 Please help identify these suspects, believed in burglarizing two vehicles in Frenchman's Bend during the early hours of this morning on 3/15/19. These suspects stole several credit and debit cards from the victim. The suspects then purchased numerous phone cards and gift cards from the Monroe and West Monroe Super Wal-Marts. The Bastrop Police Department is seeking the public's help in identifying the male subject in these photographs. The subject is wanted for a burglary that occurred last night at Juanito's restaurant on North Washington. If you recognize the subject or have any information about the burglary, please contact the Bastrop Police Department at (318) 281-1322 or North Delta Crime Stoppers at (318) 388-CASH (2274). On 3/11/2019 the West Monroe Police Department responded to a shooting at the A-1 Mart (300 Block of Coleman Avenue). The incident started out as an argument that turned into a physical encounter. Then two unknown individuals removed concealed firearms and began shooting towards one another. Approximately twenty citizens were on scene when the shooting occurred. One victim suffered a non-life threatening injury (gunshot). Many of the witnesses on scene filmed the encounter on their cellular phones. We are looking for witnesses to come forward with information and video of the shooting. Please submit a tip to Crime Stoppers of North Delta and you will remain anonymous. If your information results an arrest you may receive a cash reward up to 2000.00. The Bastrop Police Department is seeking the public's help in identifying the subject in the attached photos. The subject is wanted in connection with a series of burglaries that occurred on Buatt Street in Bastrop. If you know who the subject is or know his whereabouts please contact the Bastrop Police Department at (318) 281-1322 or North Delta Crime Stoppers at (318) 388-CASH (2274). West Monroe Police is asking for your help. 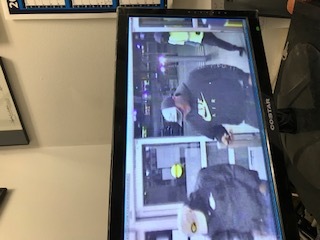 The individual in the photos is wanted in connection to a purse snatching incident that happened at Walmart at 1025 Glenwood Dr. in West Monroe. Please help identify the individual captured in the photographs. The Jackson Parish Sheriff’s Office is requesting your help in identifying this subject. On the early morning hours of January 28, 2019 this subject walked into the McDonald’s in Jonesboro LA and committed an armed robbery. Below are two pictures of the suspect. 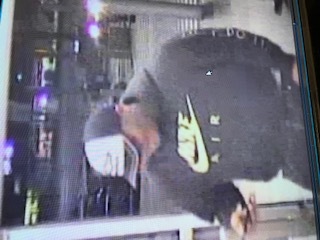 If you know who this person is please contact Crime Stoppers of North Delta at 318-388-CASH (2274), or via Facebook, or on the P3 tips app from your app store, or at www.crimestoppersnorthdelta.com Remember calls are confidential, you never give your name, never go to court. The Monroe Police need your help identify the person in this picture. He is wanted for a residential burglary that occurred on South 9th Street. Contact Crime Stoppers of North Delta if you have any information on this subject or his whereabouts. 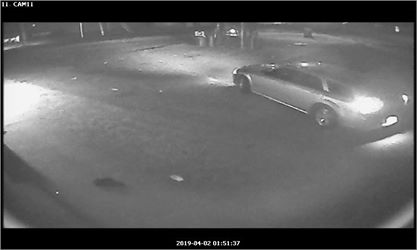 The Monroe Police Department is needing help to identify a bright skinned male that stole a vehicle at 1213 Winnsboro Road on 01/03/2019 at 0932 hours. Contact Crime Stoppers of North Delta with any information. On August 13, 2017, Morehouse Parish Sheriff’s Office received a complaint in reference to a Burglary on Bud Road. Employee’s of Louisiana Bridge Inc. said they were working to replace a bridge on Bud Road and left on Friday, August 10, 2018 after locking all tools up in the tool trailor. They returned on Monday, August 13, 2018 and found the tool trailor had been broken into with several items missing. Some of the items they knew to be missing are an orange and white Stihl brand steel cutting saw, a transit surveying equipment with tripod, a red Hilti concrete drill, a yellow and black Dewalt concrete drill and three grey and black steel tying guns (model # RB655). Some of these items are unique to bridge construction type of work with value of thousands of dollars. Anyone with information about this burglary please contact Crime Stoppers of North Delta. 318-388-2274. 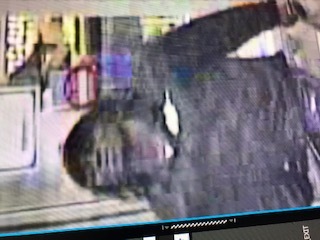 The person is wanted for simple robbery regarding an incident that occurred on 12-19-18 at Mac’s Fresh Market on Winnsboro Road. If anyone has information on the identity or the whereabouts of this person, please submit a Tip to Crime Stoppers of North Delta. On November 20, 2018 around 12:00am there was a structure fire at King of Wings located at 3006 Renwick St. Monroe Louisiana. Fire investigators determined this to be arson with multiple points of origin. Anyone with any information that could possibly lead to a person of interest or an arrest please contact Crime Stoppers of North Delta. On 11-16-18 at 21:25 hrs, MPD was sent to 1605 Oaklawn, The Church of The Living God on a shot fired call. Church members were inside having service, when an unknown b/m, 17-18 yrs old, wearing a black rain type jacket entered the front entrance of the church, walked to the edge of the sanctuary and fired one round toward the front stage where the pastor was. After firing, the suspect ran from the church and last seen running across the field towards Wossman High School. Officers recovered one .9mm casing from the floor and the bullet was found lodged in a church pew. The bullet traveled through the back of the pew and was stopped before exiting the fabric. A lady was sitting on the pew at time of the shooting but wasn't hit. The suspect arrived on scene from the northeast side of the church, which means he came south on Shady Lane from Plum Street or east/west on Crescent and was on foot. He pulled on several door handles and looked into various windows as if he was trying to burglarize the church. The Bastrop Police Department is seeking the public's help in identifying the subject in these photographs taken from a home burglary that occurred on Park Loop in Bastrop, LA. If you know who the individual is please contact North Delta Crime Stoppers at (318) 388-CASH (2274). On 11/08/18 OPSO worked a vehicle crash on Richwood Rd in Monroe, involving a pedestrian. The vehicle involved left the scene and the pedestrian was transported to the hospital with severe injuries. The vehicle will have damage to the front passenger side and possibly missing a headlight. Anyone with any information please contact Crime Stoppers @ 318-388-CASH or the Ouachita Parish Sheriff’s Office. The Monroe Police need your help in reference to this case. If you can identify any of these suspects please submit a tip of call Crime Stoppers of North Delta at 318-388-CASH. Both suspects have been arrested. Thanks to everyone that provided information. The Bastrop Police Department is seeking the public's help in identifying two subjects in reference to a felony theft that occurred at WalMart of Bastrop. Aprox. 1000.00 of items were taken. If you know these individuals or have information in regards to this crime please contact Crime Stoppers. The person is believed to be involved in a shooting that occurred on 11-5-18 in the 1100 block of S. 2nd Street.If anyone has any information on the identity or whereabouts of this person, please contact Crime Stoppers of North Delta. The suspect was last seen in or about the 1100 block of S. 3rd Street. The suspect is known to frequent the Delta Mini-Mart on S. 2nd Street. This person is to be considered armed and dangerous.